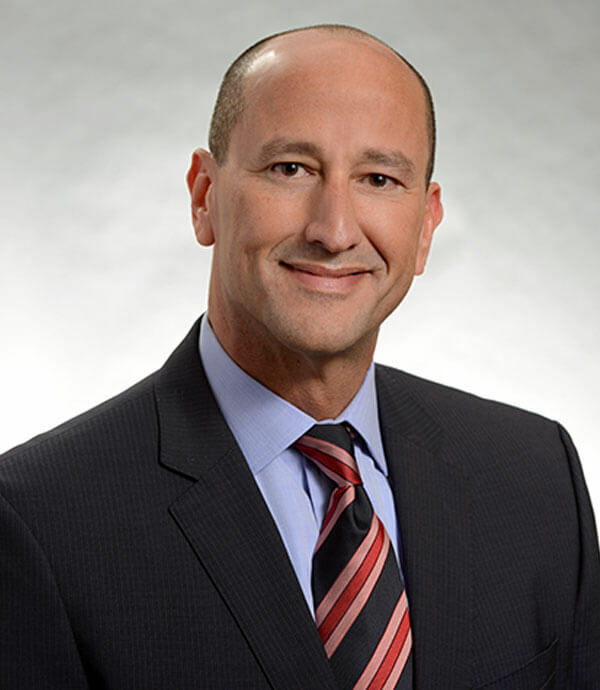 Bob I. Jimenez is senior vice president of corporate affairs at Cox Enterprises, a leading communications, media and automotive services company. Jimenez serves as the communications counsel to members of the executive team and leads the management of the company’s brand, reputation and strategic communications across Cox Enterprises. I mentor a number of individuals inside and outside my organization, both formally and informally. My parents were natural mentors. My father firmly believed in the transformative power of education. He would often give guidance to extended family and friends in Puerto Rico, where our family is from originally. He encouraged young people to stay in college and gave them pep talks to push through blockers. He would even offer financial support, like paying for books in times of need. Interestingly, he never put his mentoring or assistance on public display; I only found out about it later in life from the people whom he had helped, which made it even more inspiring. I’m honored to be part of his legacy, and now feel an obligation to help others advance their own journeys. I was blessed to have an influential mentor early in my career, which is one reason why I place such a two-year oldhigh value on mentoring. While I was pursuing an MBA at Rollins College, I was paired with a mentor, Carolyn Gosselin, who led PR agency, Young & Rubicam. To this day, we’re friends. That’s how I stumbled into the world of public relations—which immediately spoke to me. Growing up as a Puerto Rican in the United States, I often served as a cultural (and linguistic) interpreter. I gravitated in my personal life toward any chance for human interactions and understanding. What struck me about the PR field was its amazing ability to help shape and influence audiences through messages and visuals through a targeted mix of channels, tools and tactics. It seemed tailormade for me. I often remind myself that I wouldn’t have landed where I am today without people like Carolyn who exposed me to different shades of possibility. So, my advice to my early-career self would be: Always be open to veering off the beaten path to discover a trail uniquely designed for you. Developing relationships is key in any line of work, and it’s fundamental to a healthy dynamic between mentors and mentees. For me, relationship-building happens spontaneously, because I’m truly interested in people from all walks of life and learning from diverse experiences. Simply put, I love hearing people’s stories. For relationships to be successful, it often boils down to authentic listening. God made us with two ears and one mouth for a reason. You can also learn so much just by observing, even nonverbals, like how the other person is responding. Tuning into those signals are key so you can get on the same wavelength and form a bond. With that foundation, you can lay the groundwork for the breakthroughs that come from human connections. First, never underestimate the power of informal mentoring. Those early in their career can broaden their perspective by having coffee chats with seasoned professionals and asking applied questions. Even with a busy calendar, I try to make myself available for these engagements. The learning goes both ways; I love hearing from up-and-coming professionals about their personal journeys and getting their take on the industry and evolving trends. Second, formal mentoring programs can drive a lasting impact. In a structured program, you can carve out time to help the mentee chart their growth path. Championing someone’s journey is truly fulfilling. Third, I encourage everyone, especially my mentees, to pursue their passions and hobbies. For me, it’s the arts. I’ve been a music lover – a singer and pianist – for as long as I can remember. I’m a support and aficionado of all forms of performance and visual arts. Several studies have proven numerous positive effects of the arts, such as enhanced learning and creative problem-solving – all quintessential skills for leaders. While in business school, a mentor sparked my interest in PR, which led to a position as a publicist for Orlando Opera. Though I grew the PR program significantly, the arts scene was struggling, and I was laid off in a downsize effort. What could have been a low point turned into an ultimate high: While looking for my next opportunity, I continued to volunteer and support social causes, and I ended up being featured by the local newspaper as an exemplary volunteer. That coverage ended up landing me a job at the region’s largest health care system, putting me on the leading edge of health tourism. From the ground up, I designed campaigns targeting international travelers, promoting the emerging concept of combining vacations with highly specialized medical procedures. Later, I branched out, following my dream of owning my own company. I built an agency delivering communications and PR strategies that resonate with the Latino market, serving clients like the Orlando Seminal, Orlando Utilities Commission, Time Warner Cable and The Walt Disney Company. The Disney account led to a full-time role in public affairs at Disney, where I honed my skill set in crisis communications and brand reputation with one of the world’s most recognizable and beloved brands. After a few years, I moved to Atlanta with my wife, two-year-old son and 1-month old daughter (they’re now a senior and junior in high school!). Through a series of connections, and after the most thorough interview process I’d ever encountered, I secured a communications leadership role with privately-held Cox Enterprises. With 60,000 employees and revenues in excess of $20 billion, Cox is a leading communications, media and auto services company. I’ve spent the last 15 years there building a 50-person team spanning corporate communications & public affairs, social responsibility, creative services, and meetings & events and travel. At Cox, mentoring has become an integral part of my scope as a senior leader and one of the areas I find most gratifying. At every juncture of my career, I’ve picked up valuable lessons, many of which can be distilled into a common theme: I’ve discovered some of life’s greatest gifts by venturing to knock on doors and by opening my own door when knocked upon. When I reflect on my path, the most exciting turns boil down to staying connected, seizing opportunities, being acutely receptive to others’ needs and serving as a translator across groups (both literally and figuratively) to find shared value and solutions. In total relaxation with my family, entertaining friends, hanging out by the pool and exploring Atlanta’s exciting culinary and arts scene. Ludwig van Beethoven.I’ve always been fascinated with and inspired by his pure drive and talent, which transcended even the most difficult challenges in his life. I also think it would’ve been amazing to have experienced the explosion of music, art and thought in the Romantic Era. My earliest memories of the beach are Lido Beach in Sarasota, Florida. Our family is fortunate enough to have a home there, where we try to visit as often as possible. It’s my happy place. My leadership tip is… never stop improving. My mentorship tip is… pay it forward. Every mentor is… a humble student. Go-to news source… The Atlanta Journal-Constitution, Cox’s flagship newspaper celebrating its 150thanniversary this year. Lesson that took you the longest to learn… That it’s helpful to actually read instructions. Habits in your daily routine that strengthen your leadership skills… Developing and maintaining constant connections at all levels of the organization.